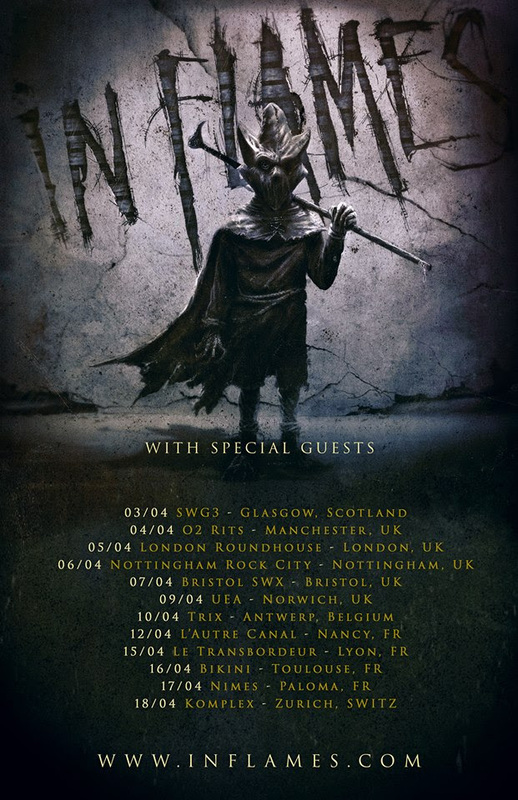 After recently announcing the release of their upcoming album ‘I, The Mask’, out on March 1 via Nuclear Blast (worldwide, excl. North America) and Eleven Seven Music (North America), Swedish legends IN FLAMES are ready to unleash the third single off their 13th studio piece. The title track, ‘I, The Mask’ is another heavy anthem accompanied by a visually stimulating lyric video that gives us the first look into the album’s intricate artwork. Watch the lyric video here: https://youtu.be/x0sujFluBlE. The pre-order for ‘I, The Mask’ as well as several exclusive album pre-order bundles are live NOW. All digital pre-orders will receive an instant download of ‘I Am Above’, ‘(This Is Our) House’ and ‘I, The Mask’. Copyright © 2019 Nuclear Blast Records, All rights reserved.